Hard to believe that about three weeks ago the Southeast was in the midst of a heatwave. Today and for the next week, we expect temperatures to be normal to slightly below normal. This is not bad at all for the dog days of summer. 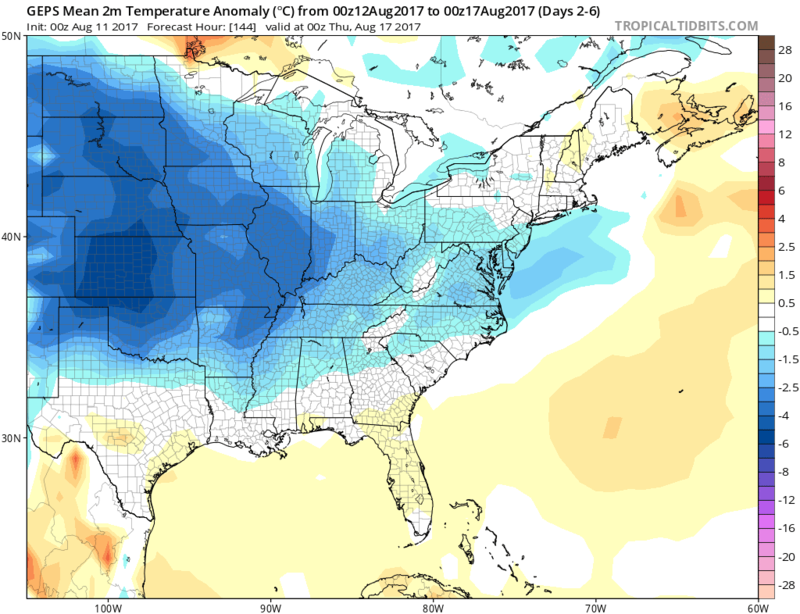 Historically, this is some of the hottest weather in years past during the month of August. That will not be the case this year, so enjoy because heat will probably return for this time next year. Also, we expect wetter than normal conditions to replace the recent drier ones. 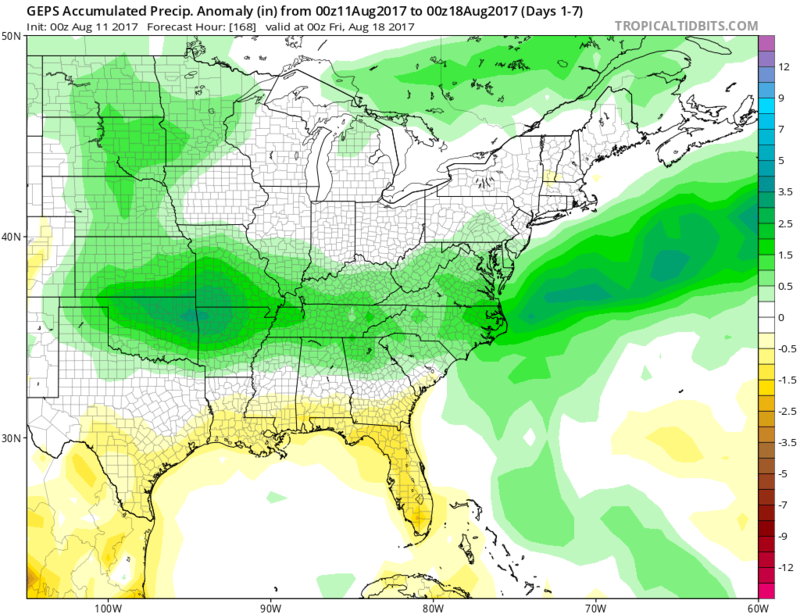 Below, in the member section, we will discuss the potential for some flash flooding in some areas and what is going on in the tropics.